Okay, so let me be completely transparent here, I love maps. I have a huge National Geographic Atlas at home, and I love looking at not only the political maps but also the other maps such as population density. I just like examining it and thinking about the world from different lenses. Even as a student I always loved making maps as part of each unit of study. And as I am sure you guessed, students make maps in my class. 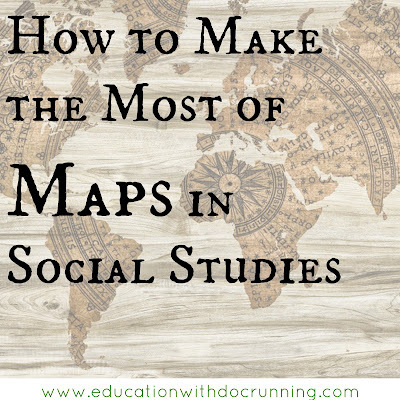 But I've learned that maps are a great inquiry tool that can go way beyond the actual labeling. Maps, like other text and diagrams, are filled with information. So, now I've tied analysis questions in with our map making. For example, a map of Ancient China lends insight into the development of the culture. 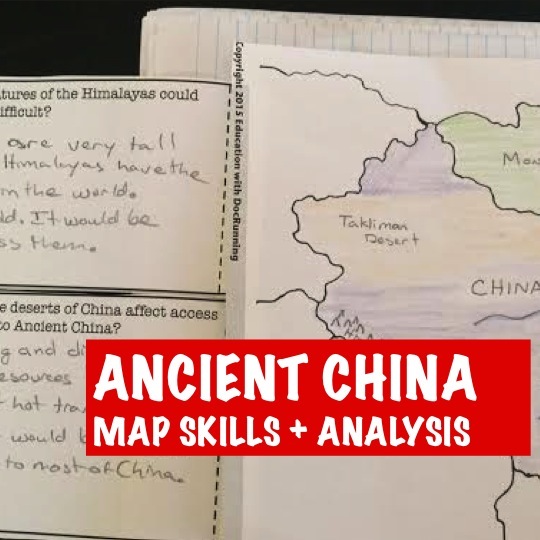 Students who complete the Ancient China map activity analyze the role of the mountains and large deserts in travel and invasion. The students look at the rivers and discuss where settlements might develop. 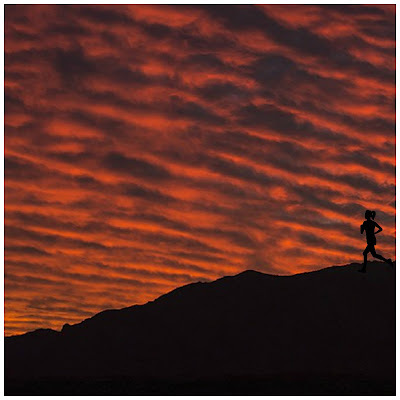 They make connections between the technology available in Ancient China and the role of geographical features. I like to have students complete their map in their interactive notebook and then respond to questions on foldable flaps that are glued in. The students open the flaps to reveal the map. 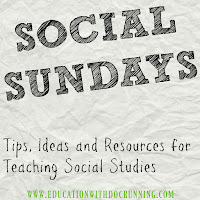 How did the geographical features shape the daily life of the civilization? How do geographical features act as natural protection to a society? 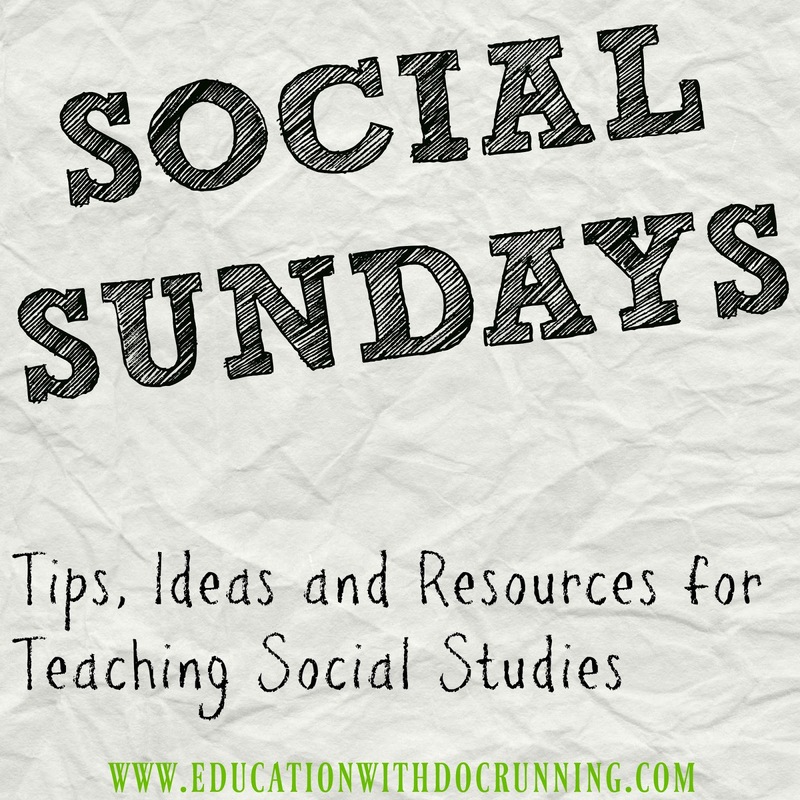 How might geographical features provide resources? Why do you think so many civilizations (Egypt, Mesopotamia, Greece to name a few) developed near water? What is the value of living near water? Do you think geographical features are as important today as they once were in shaping a civilization? Why or why not? What technology did a civilization develop as a result of the geographic landscape in which the civilization existed? Using maps goes beyond simple labeling places. Maps are another source for understanding the choices of a civilization in its development. 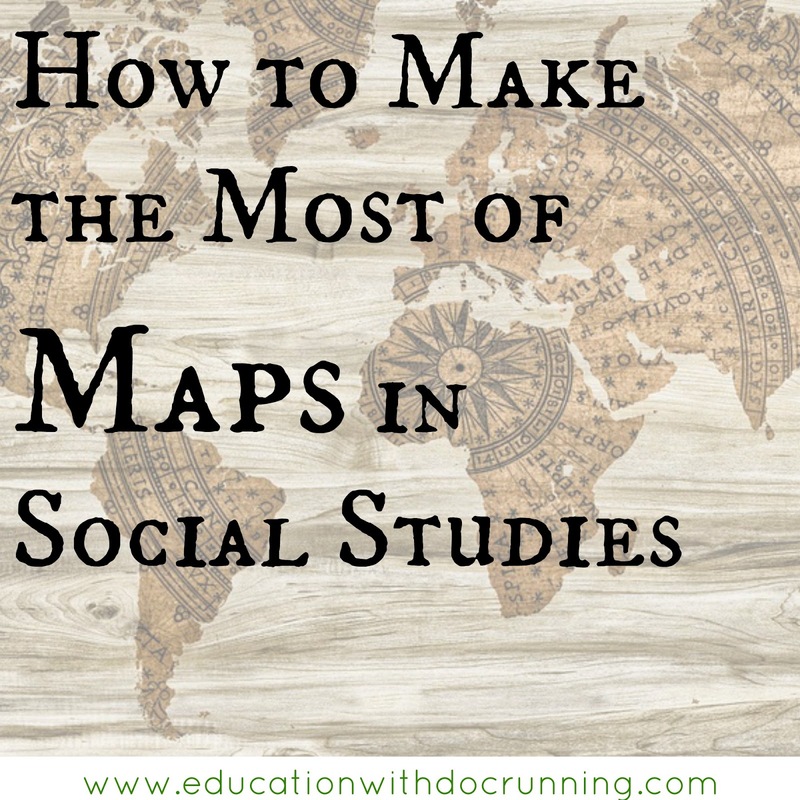 Maps offer a great opportunity for critical thinking and inquiry. Plus, who doesn't love to color a little? I also love decorating with and having my kids work with maps. My favorite map is one I found in a tiny independent shop in Seattle, it's a world map but it's "upside down." Every year I use it as a conversation starter on historical perspective. Oh, that sounds so cool. What a great way to use a map...to talk about perspective. It's like when you show maps that were made in the 50s with the US in the center. We have (hopefully) a more worldly view now. I always enjoyed teaching with and about maps. 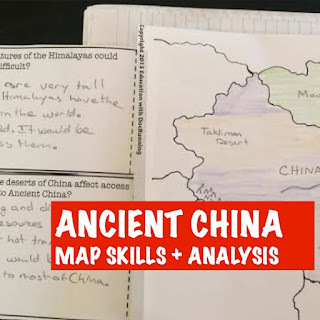 I had a Peters Projection map in my classroom along with maps from China (in Chinese) and my students were always surprised to see the different ways the world was depicted. It was very eye-opening for them! Yes! Maps are such wonderful tools to understand different ways people see the world.